The Securities Act of 1933 is referred to as the “truth in securities” law. The act has two intended and effected results: It prohibits deceit, misrepresentations, and other fraud in the sale of securities. It does that by requiring that all investors in the capital and equity markets receive significant information concerning the securities being offered for sale to the public. It also does that by requiring the filing of a great deal of important information and facts in writing with the Security and Exchange Commission. The act starts by requiring registration, which enables investors to make informed judgments about whether to purchase the securities issued by a corporation, or not to buy. 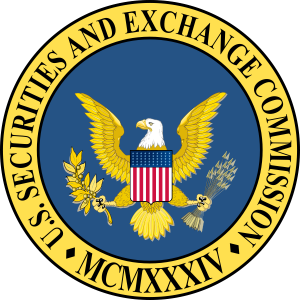 The information required by the Securities and Exchange Commission requires that it be accurate but not guaranteed. If you suffer a loss in the purchase of securities, you have the right to recover your loss if you can prove that there was inaccurate or incomplete disclosures of important information. It starts by requiring that all securities sold in United States be registered. The registration requires a description of the company’s properties and businesses, a description of the security type being offered for sale, information about the management of the company, and certified financial statements by independent accountants. Companies with more than $10 million in assets, whose securities are owned by more than 500 people, must file annual reports. Usually, the report includes an opening letter from the Chief Executive Officer, financial data, results of operations, market segment information, new product plans, subsidiary activities, and research and development activities on future programs. These reports are then available to the public through the Security and Exchange Commission’s database. The Securities Exchange Act of 1933 also does a great deal towards the function of avoiding and discouraging insider-trading. In broad strokes, it prohibits fraudulent activities of any kind in connection with offering, purchasing, or marketing securities. This includes exchanges, wirehouses, dealers, clearing agencies, transfer agents and brokers. These registration filings require renewal of disclosures and documents updated on a regular basis. In addition to the Security Exchange Commission, there are other regulatory agencies for example, FINRA, has a website containing a great deal of information. You can use BrokerCheck to find out the complaint history against a financial advisor. FINRA also conducts hearings to resolve claims of improper broker activities. FINRA has offices throughout the United States and is divided into geographical territories. As recently as 2010, Congress passed The Dodd Frank Wall Street Reform and Protection Act. The purpose of the legislation was to reshape the entire United States regulatory system. The Act focuses in the areas of consumer protection, restrictions on trading, and the issuance and reliability of credit ratings. The Act also won a great deal towards regulating corporate governance to make it more transparent. Additionally, the Act took significant steps towards keeping banks out of the hedge fund business. Banks are historically and legally financial institutions that take deposits and the use of those deposits is to invest in markets that are speculative. This is all in an effort to rein in the abuses that resulted in the financial meltdown of 2008.